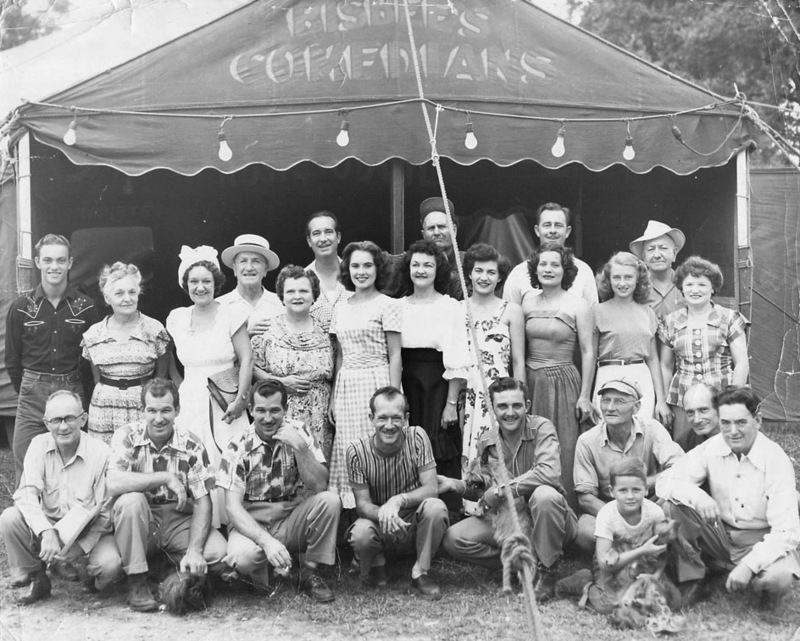 Most in our class will remember the Bisbee's Comedians who came to Martin once a year with their traveling show. We might also remember that the children of the show would attend school with us for a week and then move on to another school. Here is an article from rivertimeplayers.com. Jess C. Bisbee was born at Spencer, IA, in 1889, and was the son of a noted show family. His father was a circus and vaudeville performer and magician. His mother was a talented musician. Jess' interest in professional magic began early. At age 20 he was billed in vaudeville as one of the Bisbee Brothers, teamed with brother Roy, with a "musical flower garden". At 30 he began a career with RKO, Keith's Orpheum Circuit, and later with the Cotton Blossom Showboat, doing cartooning, rag and smoke pictures.In 1927, shortly after his marriage to Mary, he struck out on his own, entering the tent show field with his Bisbee's Comedians, offering old-time dramas and magic nightly, with a complete change of bill each night during the week. After a few lean years, fortune turned a kindly eye his way. Bisbee's Comedians were a well respected company. It was always a welcomed sight when the six big trucks, proudly lettered with the show's name, followed by cars and trailers, rolled into town to set up the large canvas tent that would seat 1,000. 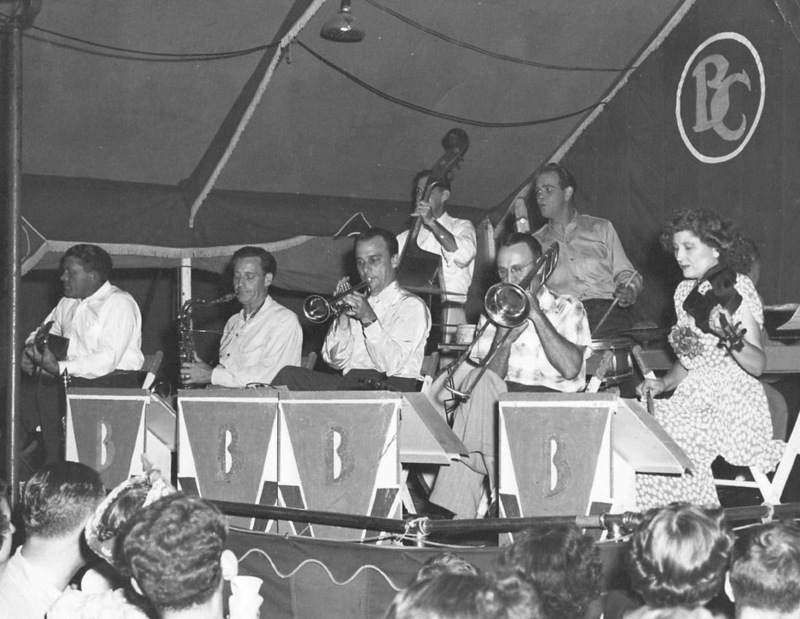 A 1943 article states, "Bisbee confines his talents now to two states, Tennessee and Kentucky, where his 28-person troupe has made the same circuit for 16 years. After his eight-month season is over, he returns to his winter quarters at White Station, Tennessee, on the outskirts of Memphis." Jess died June 3, 1955 at his home near Memphis at age 65. Funeral services were held June 5, with burial in Memorial Park. He was remembered as "a skilled magician in addition to being a producer and director. His show had toured Tennessee and Kentucky for over 25 years and he was one of the last of the old tent show operators." He was survived by his widow, Mary, a brother, Ralph, and a sister, Mrs. Florence Donley. In 1956, Bibee's Comedians were acquired by Billy Choate, grandson of William Carroll Choate, founder of Choate's Comedians. Billy had been traveling with the Bisbee's since 1942. 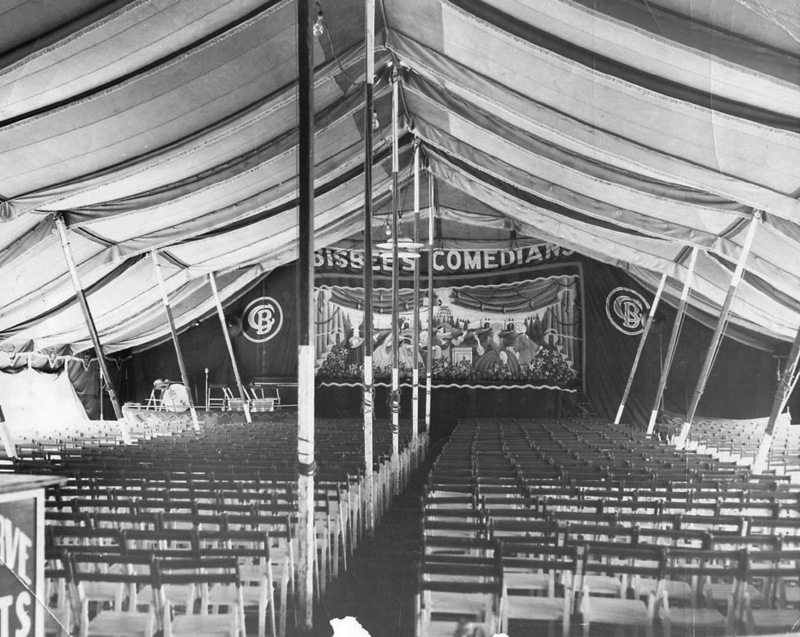 By 1964, Bisbee's Comedians were one of only two remaining tent shows. Bisbee's last season was in 1966 in which they attempted to make the season by setting up at a resort in Kentucky for the summer. The route of the Bisbee's Comedians: Lexington TN, Parsons TN, Linden TN, Hohenwald TN, Dickson TN, Waverly TN, Camden TN, Bruceton TN, McKenzie TN, Murray KY, Benton KY, Fulton KY, Clinton KY, LaCenter KY, Smithland KY, Kuttawa KY, Eddyville KY, Marion KY, Morganfield KY, Princeton KY, Dawson Springs KY, Calhoun KY, Owensboro KY, Livermore KY, Hartford KY, Fordsville KY, Leitchfield KY, Morgantown KY, Greenville KY, Russelville KY, Elkton KY, Hopkinsville KY, Cadiz KY, Union City TN, Martin TN, Dresden TN, Dyer TN, Obion TN, Dyersburg TN, Halls TN, Ripley TN, Covington TN, Brownsville TN, Whiteville TN, Somerville TN, Moscow TN, and Collierville TN.